As the time passes day by day, there is still no software based unlock solution is out for new basebands of iPhone 4 rather than the hardware based unlock solution like GEVEY and REBEL SIM interposers. This time we come up with another hardware based iPhone 4 unlock solution and this is come from USBFever. They come up with a Micro Sim Card on their store, which works similar to the Gevey SIM but it costs you less than GEVEY. 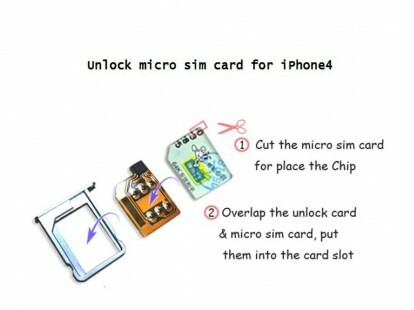 USBFever, Micro SIM card unlocks your iPhone 4 (New & Old) basebands on iOS 4.3.1, and it only costs you 29.99$. It is available in their market for sale. Note: This time we have no more solid proof of their Micro SIM Card, but stay here we will update you with the proof soon.